If you’re serious about selling your house, it’s important that you know the facts. 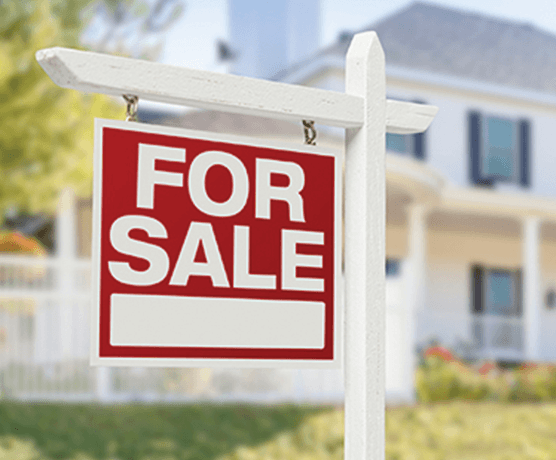 It seems like a simple prospect – just put your house on the market, show it to a few buyers, and make the sale – but as many sellers find out, selling a home can be a difficult, expensive and long prospect. By knowing some valuable information about the real estate industry, as well as some tips and tricks about selling your property, you’ll be able to more effectively tackle today’s real estate market. A clean, bright decor is what buyers want. Probably the best dollar-for-dollar investment for selling your home fast is fresh paint. Neutral colors are best. Next to fresh paint, new carpeting–replaced for either condition or color–makes a big difference. Elbow grease can be as effective as spending cash to brighten your home. Start by ruthlessly getting rid of the junk you’ve accumulated. Clean each room top to bottom. Dare to make your home look better than you’ve ever had it looking before. Focus on the three rooms most inspected–kitchen, master bedroom and garage (if you’ve got one). Forget those and you may as well forget the buyer, too. In the kitchen, clear off counters and organize cupboards. Keep in mind, some prospects will judge the whole house by the cleanliness of the oven or refrigerator. In the master bedroom, move or remove furniture to create spaciousness. The ideal garage stores only cars and perhaps an orderly display of garden tools, so throw out your junk to show off room for theirs. Mistake # 4 - No "Curb Appeal"
Your house gets only one chance to make a good first impression. That’s why “curb appeal” is one of the most critical points in selling. Buyers are apt to fall in love at first sight–or not at all. If your home lacks curb appeal, chances are the first impression will not be counteracted by the most perfect floor plan or the most tasteful interior. Spruce up the view of the house from the street, including lawn, shrubs, shutters, windows, front door, mailbox. Add potted flowers out front, a wreath on the door, new outdoor lighting fixtures–whatever will enhance your home’s “buy me” look. The more buyers you appeal to in terms of financing, the greater your chances of selling faster. Be flexible, providing a decorator’s allowance or other irresistible buyer incentives. The presence of your family can make prospective buyers feel like intruders so it’s best to leave the home for showings. Keep your home as clean as possible while you are on the market and do a quick tidy of the house before you leave for a showing. If you will be coming right back you can turn on all the lights in the home so the buyers can really take in the house and not have to search for light switches. It will then be the agent’s job to show buyers what they need to see. If an open house is scheduled also plan to be away from home and let your agent do their job to make sure all attendees have a positive experience, leave with questions answered and information on your home. Going it alone – like General Custer – could invite disaster. Without a professional adviser, you probably won’t sell. Even if you do sell, surveys show self-sellers often net less from the sale than sellers who use a real estate agent. Selling a house is a team effort between you and the listing agent. You’ll find agents do a lot more than most people know–from bringing qualified buyers to keeping things on track to settlement. This report is designed to illustrate that selling a home is a complex, and often intricate process. If you’re interested in more information, please contact us.